Situated over the town of Kalampaka, on the north-western edge of the Plain of Thessaly (in Central Greece), Meteora is one of the most imposing sights in Greece and a must-see for everyone visiting the country. Sandstone steep rocks, rising over 400 meters above the ground, were formed about 60 million years ago, as a result of a fluvial erosion, earthquakes and geological changes that followed over the centuries, and created this rare natural phenomenon and landscape. Besides being a marvel of nature, what makes Meteora even more astonishing are the spectacularly perched atop the rocky pinnacles monasteries. Their name, which literally means “suspended in the air”, describes perfectly these six remarkable Greek Orthodox monasteries. In 1988 Meteora was declared a UNESCO World Heritage Site. The area of Meteora was initially inhabited by monks who lived in caves within the rocks during the 11th Century. In the late 12th century, a small church called the Panaghia Doupiani was built at the foot of one of the rocks. 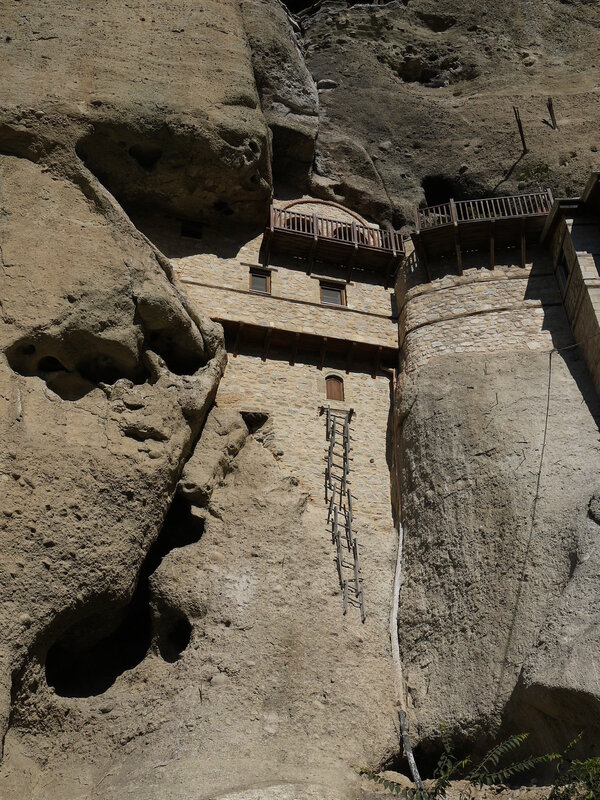 But as the times became more insecure during the Turkish occupation, the monks climbed higher and higher up the rocks to protect themselves from different conquerors and numerous monasteries were systematically built on top of the rocks. By the end of the 15th century, 24 were constructed in total; today, though, only 6 of them are still active (the Holy Monastery of the Great Meteoro, the Varlaam Monastery, the Saint Stephen Monastery, the Holy Trinity Monastery, the Saint Nicolas Anapafsas Monastery and the Roussano Monastery). The monks had to climb up ladders or use baskets and ropes to transfer the material for the construction of the monasteries and until 1920 this was the only means for getting supplies up to the monasteries. If you visit Meteora monasteries, you can still see examples of these traditional baskets. Meteora is one of the largest monastic and pilgrimage areas in Greece, second only to Mount Athos. The monasteries played a significant role during the Turkish occupation, since they contributed in keeping alive the Hellenic culture and traditions. Besides religious centers, they were also academic and artistic ones that attracted not only deep religious people, but philosophers, poets and painters as well. You can witness yourself the way the tradition of Orthodoxy is continued uninterrupted for over 600 years in this place where timelessness and beauty prevail. The “stone forest” of Meteora is a perfect combination of natural and manmade landscape, giving the visitors a sense of the transcendent. Here you can feel the calmness and tranquility of the monastic life, the traditional way of living, admire the unique architecture of the monasteries and the astonishing natural setting. The area is also ideal for nature lovers, who should not miss the chance to hike through winding stone paths, following the monks’ trails and stare at this unique geological phenomenon. 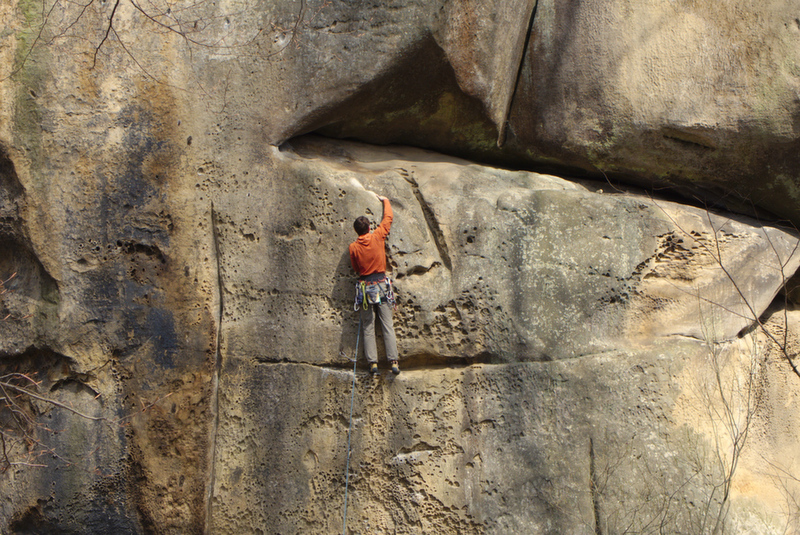 For the adventure lovers, the 400m steep rocks are perfect for rock climbing!